Dating can become outstandingly complicated when you live in a rural area. The nearest neighbor is often miles away, and everybody knows everybody. This minimizes your selection of potential dates dramatically and reduces your chances of success or even enjoying the dating experience. Going to urban areas to find dates may seem like a solution for the simple reason that one can meet more new people in more populated areas. That, however, has another setback: an urban person may feel discontent with a rural person’s lifestyle, rhythms, etc. This often leads to such dates leading to nothing but an aftertaste. Jerry Miller, the founder of FarmersOnly, decided to address this issue after hearing about his widowed farmer friend’s dating misadventures. 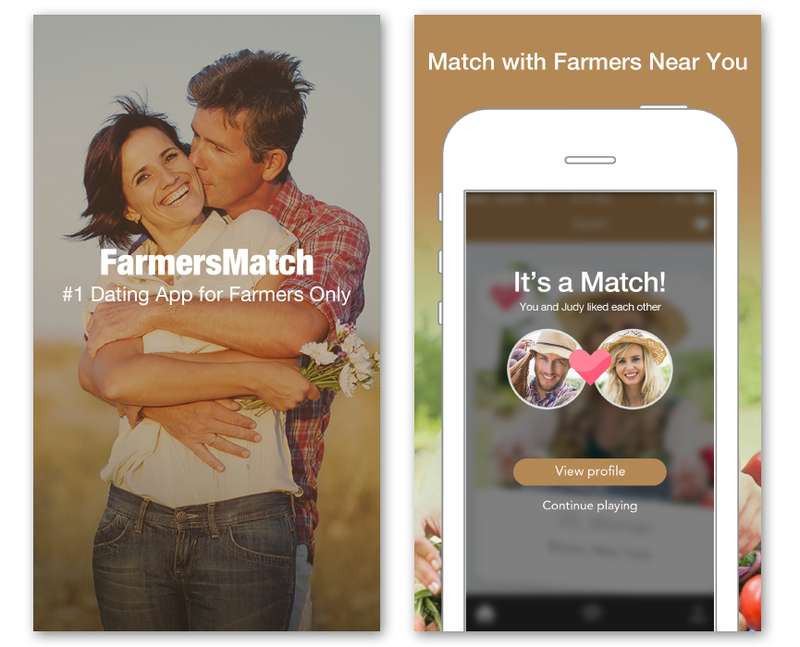 It gave rise to the idea of creating a dating platform that would cater specifically to the needs of farmers, ranchers, and country folk in general. 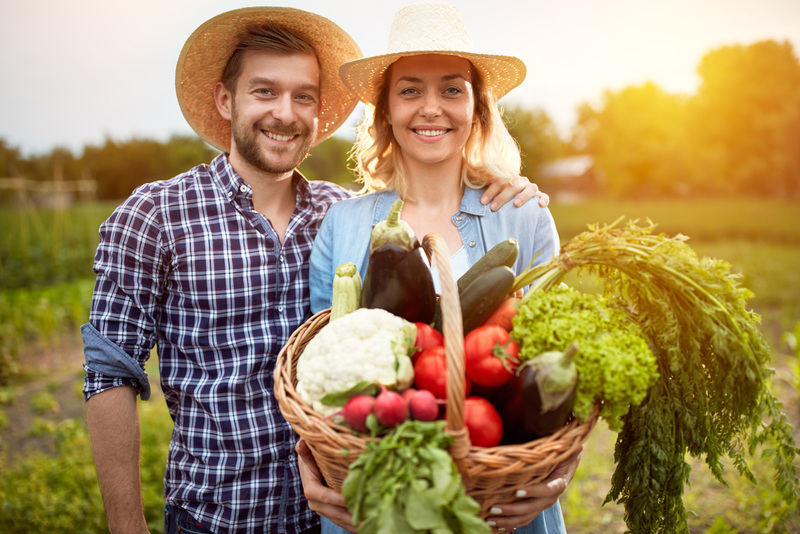 A quirky viral marketing campaign was launched back in 2005, and by now, FarmersOnly has as much as about 4.5 million members all across the USA and Canada. The company operating FarmersOnly.com has built its philosophy around juxtaposing the lifestyle and mindset prevailing in rural areas to those widespread in the cities. 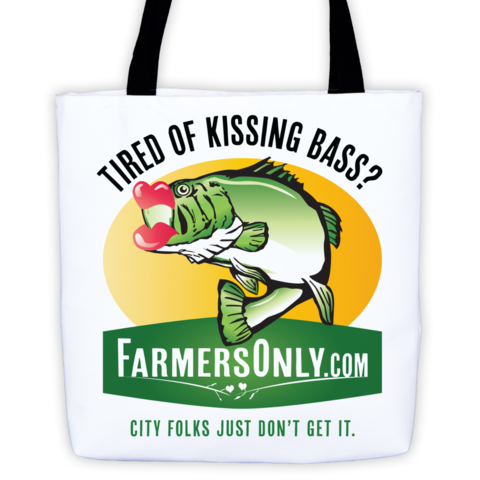 The website slogan goes: “City folks just don’t get it!” In practice, it means that the dating platform has been thoughtfully built specifically in a way that the country folk could get it. One can observe it in every aspect and at every step of one’s online dating experience at FarmersOnly.com. The moment you open the website’s front page you can’t help but suspect that it hasn’t been updated since its very foundation back in 2005. Someone may find it disappointing. But we may argue that country folk apparently have better things to do than upgrade their internet-savviness. As such, it’s only fair to expect a somewhat old-fashioned and simplistic interface to appeal better to the website’s target audience. Following this idea, the signing-up process is quick and straightforward. 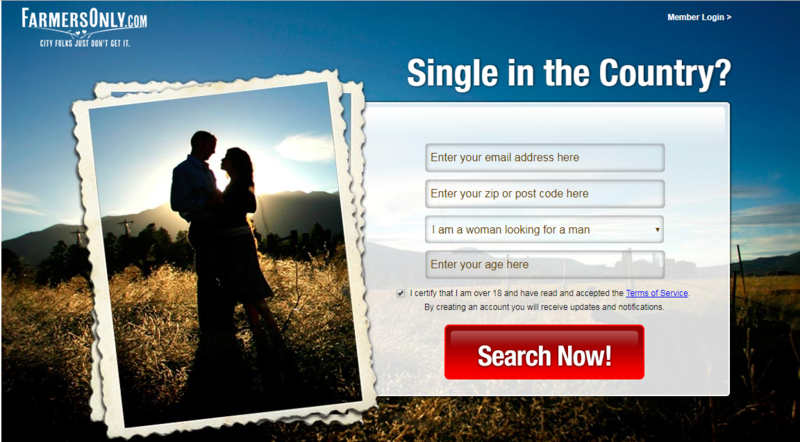 You only need to enter your email address, zip code, and preference to get your profile created for you. Then, a username and a password get automatically generated and sent to your email address. From this point, you can instantly start browsing through member profiles to get a better idea of how the website works and whether it’s your cup of tea. If you decide to continue with the website, you are welcome to fill in the rest of your profile by uploading some photos and specifying such details as your age, religion, etc. The photos you upload may sometimes take up to one day to verify, but usually, it goes much faster than that. Your automatically generated username will be quirky yet generic – something like “cowboy” or “cowgirl” and a number. You can change it later on, but only once. As for the password, you are welcome to modify it as many times as you like. As far as the actual online communication goes, it is also quite straightforward and simplistic. There are only two options here: flirting and messaging. A flirt is similar to a wink on other dating websites and serves as a convenient icebreaker when you are struggling to find a pickup line. Unlike messaging, it’s a free feature. As for the former, it’s only available to paying members. Disappointingly, even if you are a premium member, your interest won’t be able to answer your message until they upgrade as well. This, however, is an understandably rare case. Because of such strict policy, users either dip into their pockets or leave the site, – there are almost no free users. As one may guess, FarmersOnly.com is not too big on special features. On other dating platforms, you see plenty of cool little thingies that seem to be there only because someone thought it’d be cool to have them. Seeing how well FarmersOnly has realized their marketing campaign, one cannot say that they lack creative force. Still, they put their target audience’s best interest forward. With that in mind, they did offer some features that this particular audience might appreciate. Discover is a way to make friends without browsing profiles and messaging other members. You get shown photos and either thumbs-up or thumbs-down below them. If you specify the desired age range of your potential partner when filling out your profile, Discover won’t show you profiles of any users outside your specified age range. The members whom you have thumbs-upped will get notified under the “Who liked me” section of their accounts. Likewise, you will see who liked you in the same section of your profile. If a user gets a thumbs-down, they don’t get notified, – so there’s no reason to feel guilty over not liking some photos or deliberately looking for likeable features. On the whole, Discover serves as an excellent icebreaker. It can be utterly annoying to experience Internet connectivity issues (which is typical for some remote rural areas even in the 21st century) in the middle of an engaging conversation. FarmersOnly addresses this issue with their FarmPhone feature. It connects your phone number to your FarmersOnly account and sends you messages from other users directly to your phone as regular text messages. You can also answer those messages in the same way. This feature is particularly exciting if you happen to be located in a somewhat remote area without a stable Internet connection. Even though FarmersOnly makes it practically impossible to interact on the website without buying a subscription, the prices are not over the top. One month of subscription will cost you $21.95. But – you should realize that some more time might pass before you find what you’re looking for. Realizing this, FarmersOnly offers significant discounts for long-time subscribers. For example, if you pay three months in advance, it will cost you $39.96, dropping the monthly price dramatically – to $13.32 per month. Furthermore, a 6-months subscription costs $65.94 which equals only $10.99 per month. In our experience, such pricing is below average as far as dating sites go. You can block the members with whom you no longer wish to interact. Gold status. When other members look at the selection of profiles, your profile gets highlighted in gold. It costs $9.99 per month. The FarmPhone feature that we have already described costs an additional $4.95 per month. Please note that your subscription will renew automatically by default. This involves both the subscription itself and additional features. FarmersOnly doesn’t have a refund policy, so if your subscription renews when you don’t need it without you knowing, you won’t be able to get your money back and will have to enjoy it for the next given period of time. You can switch off the auto-renewal manually or contact customer support for assistance. FarmersOnly accepts all the most widespread payment methods. These include not only major credit cards and PayPal but also cheques and mobile phone payments. Realizing the specifics of its clientele, FarmersOnly made their customer support available not only via email but also via a hotline. To ensure that the support agents are friendly with this specific clientele and speak their language, FarmersOnly hired them from among its first users by upgrading them to moderator status. This way, even the least internet-savvy user will get quality support at all times. The only alarming issue that may arise is when you feel like some user is trying to scam you or should be banned from the website for any other reason. Some other websites may investigate the user you reported themselves, but FarmersOnly doesn’t bother to do that. They will only accept complaints about other members grounded by an official police report, i.e., after something bad happens and not before. Like pretty much anywhere else, if a company refuses to address your issue, whatever it may be and for whatever reason, an unsatisfied client can push on them by creating a buzz on social media. With FarmersOnly, the first option would be the comment section under their videos on YouTube. Alternatively, you can mention them on Twitter. The company isn’t officially represented on any other social media. Summing Up: Is FarmersOnly legit? FarmersOnly is pretty much a unique service that targets the audience about which other dating platforms seem to forget. As such, they are something of a monopoly, and they know it. It allows them to offer even the most essential functions only to paying users. Looking from the side, it may seem like they are cornering at least a portion of their audience who have no choice but paying for the service or staying alone, and being cornered is by far not the most thrilling feeling. On the other hand, the pricing policy is honestly humble and can hardly rip anyone off. The service delivered is of decent quality. During our communication with the customer service, we have met nothing but friendliness and competence. Besides, to top it all off, we have noticed that all of the profiles (except for the abandoned ones) seem quite genuine. If you have recognized yourself among the website’s audience that we have described, feel lonely, and have a few bucks to spare, we believe that you should go for it. Even if it’s not your only chance to meet the love of your life, it’s most definitely the most convenient one.